Ever year about 23,000 people die of infections from antibiotic resistant bacterial. Here is a film of bacteria evolving from regular old bacteria into killer superbugs. On a coffee table size Petri dish. Interesting post, and interesting, lively discussion. This discussion has been going on for some time, and a handful of recent events have prompted me to jump into it (beyond a simple comment or two). 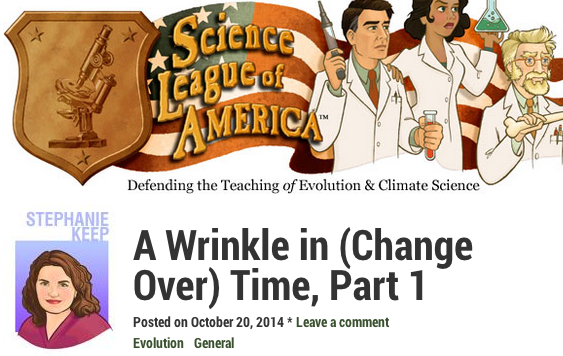 First, I saw a bunch of yammering among various biology teachers about this topic. Then Michael Osterholm wrote a well intentioned but seemingly deeply flawed opinion at the New York Times, then Dina Fine Maron wrote an excellent piece at Scientific American deconstructing Osterholm’s piece, then the latter two (and more) were summarized and expanded on in a post by Ann Reid at the NCSE. Here, I will expand on this by applying first principles from evolutionary theory, organizing our thoughts in Tinbergenesque Terms. There are four categories of reasons that Ebola won’t go airborne. I’m going farther out on a limb here than most others, who say things like “it is possible, but…” Imma say it just isn’t going to happen. Technically, over time, the Sus lineage of mammals (pigs) could give rise to a flying form, like what happened with some earlier lineage of mammal that gave rise to bats. So what I’m really saying is that Ebola will go airborne when pigs fly. Both are possible. But if that is what you really think of as “possible” instead of just “no, it won’t happen” than you may need to calibrate and stop buying those lottery tickets! Here is why Ebola won’t go airborne. In short, we expect strong phylogenetic inertia in mode of transmission. Second, there is no in place mechanism, probably. Ebola does not infect the tissues it would need to infect to make its way into a sneeze or cough. That would require a major change. Third, developmentally, the first step in a virus’s life cycle is getting itself into a cell. Airborne viruses need to have a key that matches a lock on the outside of respiratory tissues. So Ebola not only lacks the means for getting out through a sneeze or cough, it also lacks the ability to do much if it did. Fourth, it is not adaptive. Yes, a virus can mutate to do something stupid and maybe get a Darwin Award, but the chances are at least somewhat reduced. Ebola is very deadly in humans. Humans and the animal vectors that may stand between fruit bats (the likely wild host) and humans are not good hosts for Ebola. The chances of Ebola evolving to infect an unsuitable host are reduced. 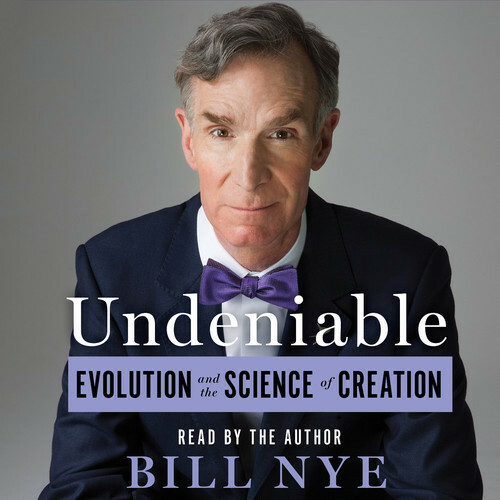 Phylogenetically unlikely, mechanistically unlikely, ontogenetically unlikely, adaptively unlikely. Evolution is like baseball but slightly different. Four Tinbergen Strikes and you are out. Now, the usual arguments in favor of Ebola doing the Hollywood thing rely on references to other viruses, like Influenza. Well, Influenza is way different from Ebola in its reproduction. It has a whole way of evolving that Ebola does not have. In fact, the differences is greater than, potentially (and rarely, but not never) the difference between evolution under sexual reproduction and evolution under simple replication. If two different Influenza strains infect the same cell, they can recombine (reassortment) to make an entirely novel never before seen Influenza. That is a very big deal and is thought to be the primary mechanism for the evolution of novel dangerous flu strains. Ebola does not do that. Ebola can’t do that. Ebola does not do that. That thing Influenza does. I said that twice. Now I’ll say it another way. Using Influenza evolution as a model for Ebola evolution is like using Primate Behavior as a model for Sea Slug Behavior. In other words, it does not fit. Will Ebola go airborne? No. Cars fly, and airplanes drive around on the ground. Ebola can possibly be transmitted across space in a closed room from one person to another, and you can catch a flu by having someone with the flu bleed directly into your nose*. But really, airplanes are vehicles designed to fly, they only drive around on the ground a little. They have wings, special engines, an overall shape and design that is adapted to flight. But really, cars only fly into the air now and then, and it is generally an accident. An airborne virus replicates in high numbers in respiratory tissues, and causes the lysing (or some other process) of cells to allow itself out into mucous tissues. It is able to survive in mucous tissues, and then it is able to survive in aerosolized droplets. An aerosolized droplet is not a bit of bodily fluid cast into the air, it is not a drop of blood shed from a wound or bleeding eyeball, or a loogie. It is a bunch of liquid (mainly water) molecules coherent at a size sufficiently small that air currents are more important then gravity, so it becomes part of the atmosphere, and a virus may or may not be residing in it. Then, and airborne virus needs to have the external morphology that links up with a receptor site on respiratory cells in the individual subject to infection, and then, it reproduces mainly in that tissue. Ebola is none of these things, except possibly one. Ebola is known to survive in mucous tissue for some time after it has left an infected individual. This is not the same as surviving in an aerosolized droplet, but it indicates the possibility. But to go back to the car-airplane analogy, that is a bit like saying that some cars fly farther when they leave the road during an accident. The distinction is very important. Jane, commenter below, has oddly implied that I’m not taking Ebola seriously. I would like to point out that I may have been the only person to complain about and argue against the trope that Ebola is not so bad because it is not Malaria. I may also be one of the few bloggers writing about Ebola who has lived in Ebola country, doing health care work, and who has actually worked on the problem of the natural reservoir and contributed to it. I am also one of the few people writing now who has pointed out that even though most people with Ebola are in a few African countries, where this needs to be taken very seriously, that it is also true that those communities, in West Africa, are global. This is how my neighbor, Patrick, managed to die of Ebola. He was an American who also worked for the Liberian government, and was in Liberia taking care of his sister, who died of the disease. His wife and family are here, in my town. Ebola affects communities that are not separate from those who have the privilege of being able to muse about it. And here is where the distinction becomes multi-dimensional. All the talk about airborne transmission is not scientifically grounded, and it is a distraction. But saying that it will not become airborne is not saying that it is not a horrible disease that is highly infectious and has pandemic potential. This, the nuances of the epidemiology of Ebola, isn’t really that complex, but sadly, it is a bit too complex to be well managed by the press and others talking about it, in many cases. And, the distinction is huge. Conflating the very small number of possible infections “across the room” (which are speculative but possible) in prior outbreaks (which, Jane, were not in East Africa) with an airborne mode of transmission is like working out transportation policy for the US but mixing up the part about how cars don’t fly and airplanes do. I really think Ebola is not going to become airborne. But if it was airborne, the whole ballgame would be very very different. That, however, does not mean that Ebola is not a very serious thing that needs to be addressed. Also, the utter failure to address this by the systems in place tells us that we as a society/species/collection of governments are unable to address a serious public health crisis even if we were under the impression that we were. Trading in misinformation and badly conceived ideas of what is happening or what could happen sets us back, it does not move us forward. *Actually, this may not be true, to my knowledge no one has considered this, certainly not tried it!